The launch of the Entrepreneurs for Houston fund. The E4H Fund was founded by Houstonians in the wake of Hurricane Harvey to provide the financial capital, entrepreneurial resources, and technology expertise to empower communities to recover, rebuild, and reimagine. The Fund will build and pilot civic and social technology solutions in Houston that can be scaled globally. In the wake of Hurricane Harvey, the millions of Houston residents stepped up to do their part to help their neighbors and communities. The entrepreneurship community also stepped up in a big way. Thousands of volunteers, in partnership with social service organizations, created applications to enable civilian rescue, help people find shelters, and match food providers with social services organizations and demolition volunteers with individual families whose homes incurred damage. These innovations saved lives, reduced suffering, and impacted over 100,000 people during and after the storm. These same applications were later used to help the survivors of Hurricanes Irma and Maria. Several pillars of the Houston entrepreneurship community have partnered together to form Entrepreneurs for Houston (E4H) to ensure that these tools remain available and are enhanced to meet the needs following future disasters. E4H is a non-profit founded with the mission of empowering communities to recover, rebuild, and reimagine. E4H has bold plans to reimagine the way that Houstonians interact with their government and social service organizations, allowing individuals and families to realize their full potentials and rebuilding Houston as a city known as a vanguard for civic innovation. The first and most critical project’s focus will be on extending the toolset for disaster recovery. Complete recovery will take the city of Houston years. As the city moves through that process, E4H will fund the development of tools that will continue to accelerate recovery, catalyze on-the-ground efforts by social services organizations, and rebuild lives. These tools will be piloted and refined in Houston and then packaged for use in other communities. Sketch City, a Houston-based nonprofit community of technology advocates and hackers, built rapid response applications to empower Houstonians with information and provide immediate emergency relief. E4H will help package these tools for use in other communities. The Harvey API supports data management for rescue, relief, and recovery efforts. Developed for Harvey and now deployed for Irma. Sketch City’s fellowship program embeds technologists and policy experts within the City’s relief efforts, building useful technology tools and analyzing data at a rapid pace. 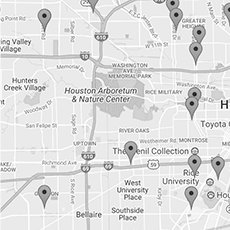 A continuously updated map of shelters and their needs, benefiting both volunteers who wish to donate their time/supplies and Houstonians in need of shelters/supplies. 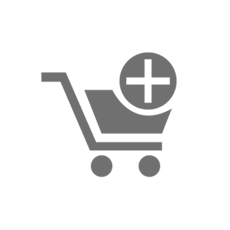 A site that enables users to order supplies from Amazon to deliver to shleters. 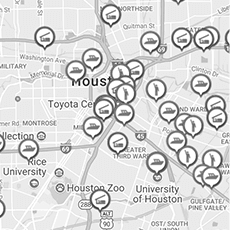 Station Houston is the hub for Houston’s tech innovation and entrepreneurship community. Station connects tech entrepreneurs with experienced mentors, investors, customers, education and talent – the essential tools to success for a startup. Post Harvey, Station has opened its doors and resources to serve the broader tech, marketing and civic hacker community who are developing solutions to support Houston’s relief, recovery and rebuilding efforts. Sketch City is a Houston-based open, non-profit community of technology advocates and civic hackers. 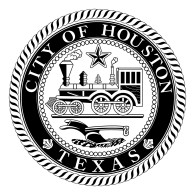 Through hackathons and meetups, the Sketch City community is on the frontlines of creating solutions to Houston’s most pressing civic challenges, including enabling communication for Hurricane Harvey rescue and relief efforts during the earliest onset of the storm and the development of apps to assist the City in all phases of its rescue, relief, recovery and rebuilding efforts. Alice is an intelligent business advisor offering universal access to business solutions and connections to curated opportunities and communities at http://www.helloalice.com. Alice also hosts a 12-week digital accelerator for women entrepreneurs and an annual conference, Circular Summit, for women founders, investors and media. The TMCx program provides startup companies with shared work spaces, a curriculum tailored to the needs of health care entrepreneurs and the guidance of over 120 advisors from the front lines of the industry. The TMCx’s goal is to quickly and effectively connect entrepreneurs to stakeholders. Mercury Fund is an early-state venture capital firm. With over $200 million under management, Mercury focuses on entrepreneurs and technology innovation originiating in the U.S. Midcontinent. Its investment themes target SaaS, Cloud and Data Science/AI platforms that make the industrial ecosystems of Middle America more competitive and efficient. YPO is the global platform for chief executives to engage, learn and grow. YPO members harness the knowledge, influence and trust of the world’s most influential and innovative business leaders to inspire business, personal, family and community impact. The YPO Gulf States chapter, based in Houston, embraces the YPO organization but also fully embodies the spirit and personality of our entrepreneurial city. Our chapter is defined by its authenticity, humility, commitment to family, and enduring entrepreneurial spirit. We value our members’ accomplishments, but more, we value the people, their families, and the manner in which they have succeeded in business and in life. Express Houston Home Buyers is a locally based home restoration company that focuses on identifying homeowners in our community that are struggling to maintain their homes and giving them a way out. Specifically with homeowners that are dealing with intense financial strain due to flooded homes and are unable to do repair their properties, Express Houston Home Buyers assists them in getting out from under their mortgage before the the situation gets bad enough to warranty bankruptcy. By purchasing homes that the homeowners are unable to repair themselves, the families from these homes can find a new place to live while the company is able to restore homes and bring neighborhoods back to livable conditions quicker. You can learn more about what they do at https://expresshoustonhomebuyer.com.